I know what you’re thinking. How in the Sam Hill is she going to tie all these things together? Well, stay with me. In the last few weeks, I’ve seen some interesting things transpire related to recommendations, referrals, and references. It occurs to me that there are three issues we should discuss. Here goes. 1. Recommendation Investigation: Is a Referral Necessarily a Recommendation? Hiring managers often receive applications that start with lines like this, “My friend John Doe suggested I apply for this role.” At first glance, you’re inclined to think that John has offered his tacit recommendation for the candidate. And, of course, that’s exactly what the applicantwants you to believe. Not so fast, my friend! When this happened recently, I went straight to the source. It turns out the candidate had reached out to John Doe for his thoughts on the role, and all John Does had done was direct the candidate to the official application instructions. Furthermore, when I asked the source for his honest assessment of the candidate, it was far from a glowing endorsement. Moral of the story? Be sure to investigate cases such as this to determine what the referrer really thinks of the candidate. 2. Your Recommendation, Your Reputation. Have you ever had a less-than-stellar former employee or co-worker ask you to serve as a reference? Talk about awkward. It reminds me of that time I was on a (sub-par) first date at a hockey game and ended up on the Kiss Cam.Ugh. But I digress. Serving as a reference for someone with questionable talent or ethics isn’t just awkward – it’s dangerous. If an organization makes a hire based on your recommendation, it could come back to negatively affect your reputation. My advice is to politely decline reference requests unless you can enthusiastically endorse the candidate. 3. My Recommendation Dream World. In my dream world, people would be honest when they receive reference calls (official or not). They would provide glowing recommendations only when warranted, and they would share important information to inform the organization’s hiring decision. Sadly, we don’t live in my dream utopia. We live in a lawyer’s Shangri-La: a litigious society in which giving a negative reference may expose one to legal liability. So, what’s a person to do if he has less-than-positive feedback and a concern about liability? My non-lawyer advice is to provide a neutral reference or simply refuse to provide one at all. It’s not ideal; but, at least, you can sleep at night knowing you didn’t provide a load of horse fertilizer to an unsuspecting employer. 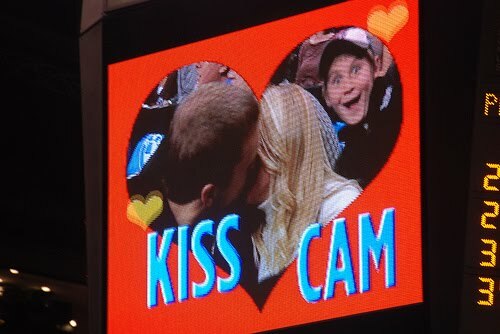 Oh, and in my dream world, I’d never end up on the Kiss Cam on a bad first date. Sigh. Talent Tip #78: O Fundraisers, Fundraisers! Wherefore Art Thou Fundraisers? Talent Tip #68: Ask the Magic 8 Ball: Why do Employees Leave? Talent Tip #67: The Key to Employee Retention: Convoluted Algorithms or Simple Communication? Talent Tip #56: We Recycle the Same Talent? Ah, Contraire, Mon Frère! Talent Tip #54: Is Virtual Hiring Right for Us? Talent Tip #53: Want to Expand Your Talent Pool? Hire Virtually! Talent Tip #49: eHarmony for Hiring? Talent Tip #44: Liar Liar, Pantalones en Fuego! Talent Tip #28: No Raise or Bonus? You’re a Mean One, Mr. Grinch! Talent Tip #21: What Do Lady Gaga and a Graduate Degree Have in Common? Talent Tip #14: In This Economy, It Should Be Easy to Find Good Talent, Right?